Drum lids or drum covers, as the name suggests, are covers for the drums that you may have in your possession for storing different substances and liquids. Spillage, bulging and leakages are common concerns when shipping, transporting or even storing drums containing liquids. Drum covers provide the necessary seal to reduce all these risks. Drums are a common sight in any manufacturing unit or operations facility that deals with a lot of liquid substances. When you have such materials in your possession, there is a need to be extra vigilant regarding health and safety measures. For industries that deal with chemicals and hazardous substances, having drums of liquid around without adequate supervision can pose many threats to the health of the staff that work with them or are nearby. 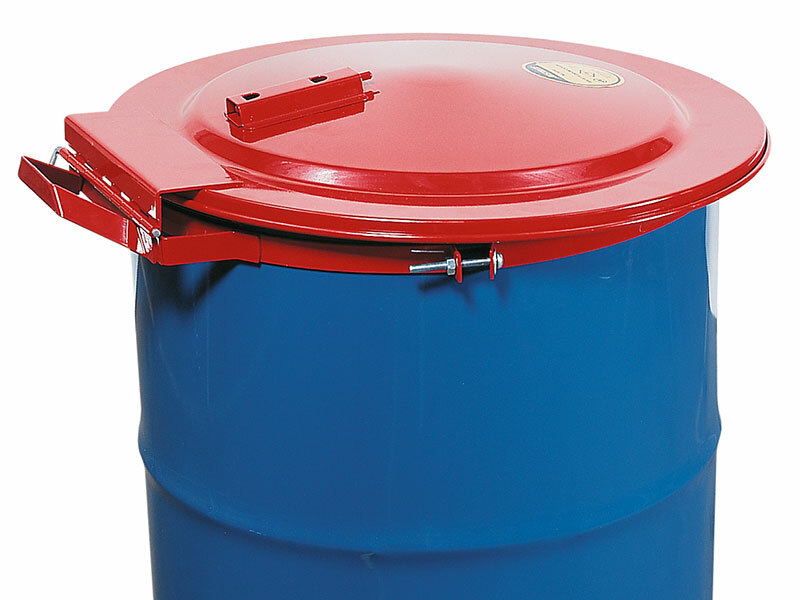 Problems can arise when the material in the drums is frequently accessed and the opening and closing of the drum cover seems too much trouble for busy workers. When carelessness creeps in, accidents can happen. That is why the drum lids designed by DENIOS are the perfect solution. What are drum lids and why are they beneficial? Drum lids or drum covers, as the name suggests, are covers for the drums that you may have in your possession for storing different substances and liquids. Spillage, bulging and leakages are common concerns when shipping, transporting or even storing drums containing liquids. Drum covers provide the necessary seal to reduce all these risks. There are covers available that are designed to effectively store different kinds of materials or for use with different types of drums. There are also several types of covers, such as those that offer a complete seal and those that provide easy access to the materials stored inside the drums. You can use 205 litre drum lids with a permanent seal when you want to ship or transport the drums. On the other hand, the regular covers with auto-closing technology help when using with drums that are held on the premises for storage of substances that are regularly used in manufacturing processes.